1. Mix salt into flour and panko bread crumbs into the cheese, set aside the two plates of mixture. 2. Cut the avocado lengthwise till you reach the seed then run the knife horizontally around the fruit. Give the fruit a twist and pull apart, use a teaspoon to scoop out the pit. 3. Run the knife along the skin to remove it then cut avocado into wedges. 4. 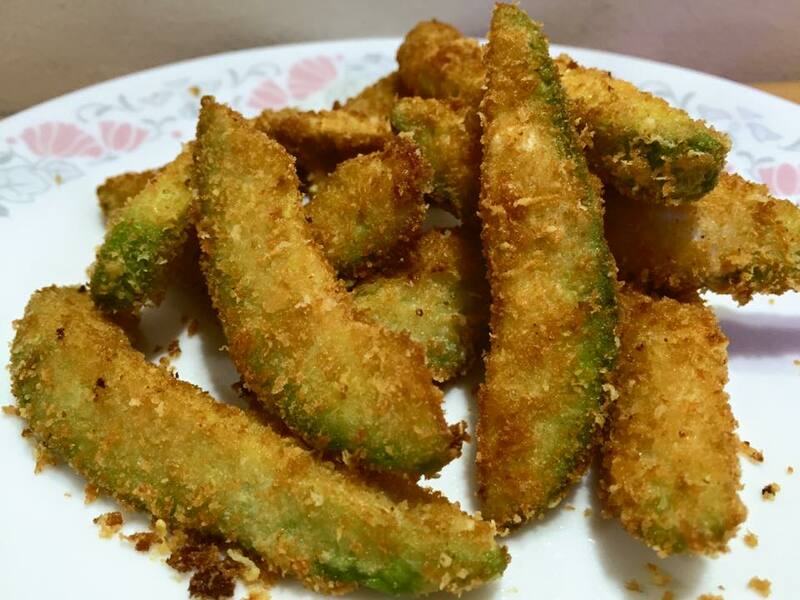 Coat avocado with flour mixture before dipping into egg follow by dredging them in the panko bread crumbs mixture. 5. Heat up oil till very hot, deep fry till golden (about 30-40 secs), drain on kitchen towels.